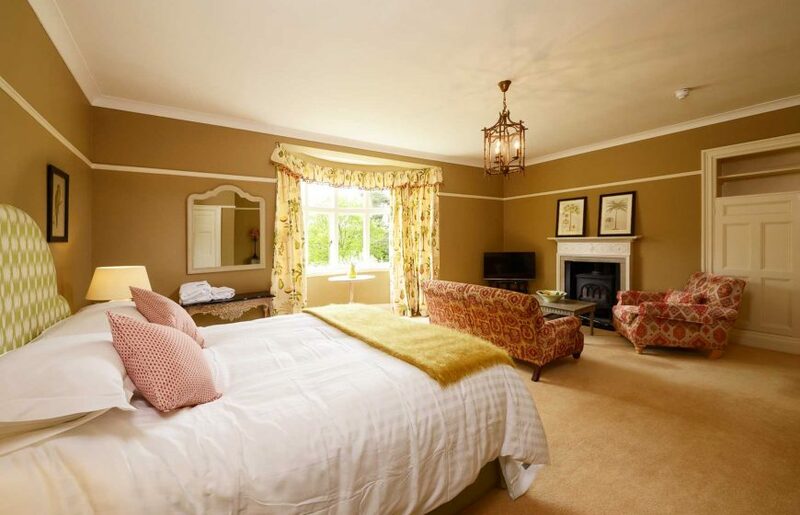 Room 1 is one of the larger suites we have, with a Super King Bed that can be split into 2 single beds if required. The large Bay Window gives you fantastic views out along the Main Lawn and Woodland area. Within your room you will have a living area with a Sofa and Armchair. The beautiful furniture adds to the charm and ensure your stay is nothing but luxury. There is also the capacity to add 2 put up beds for children under 12, making it ideal for families as well as smaller parties. The large family bathroom is located immediately across the hall. Room 5 is a standard double room situated at the end of the house. With views of the Pergola Walkway and glimpses of the main lawn, it is a truly beautiful room.